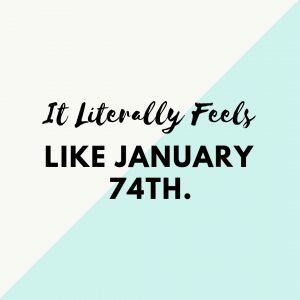 I read something online that said, “It literally feels like January 74th.” I don’t know about you, but not only couldn’t I agree more, but I totally FELT this! I was somewhat comforted by this statement as I realized I’m not the only one who has felt the truth of this. With that being said, and with the month of January finally over, all I want to say is, WE SURVIVED! I could list all the things that went not according to plan and all the curveballs that were thrown my way, but I won’t. Instead I’ll tell you what I learned most: personal growth and better decision-making. Do you want to know something really cool about personal growth? We have the opportunity every day for it! But do you want to know what often gets in the way of that? Decision-making! We can make decisions based off of what we see working for others, or we can even have someone make them for us. 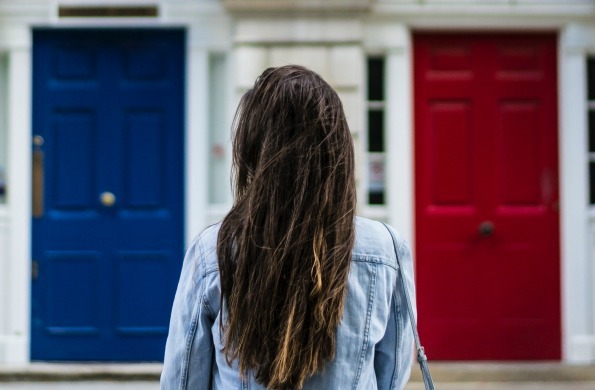 Although those two options aren’t the worst things we can do, if you really want to make a better decision, the fact is that it needs to start with YOU! Believe it or not, real growth comes from making decisions for yourself. When you’re really struggling with a decision, it’s often because your mind thinks more practically while your heart wants something else. If you’re like me, that’s a tough thing to work through! Here’s what I’ve learned: pay attention to what you hope will happen. For example, when you speak to someone, some part of you is hoping for a specific outcome from the conversation.The truth is, we’re not 100% rational humans, and that’s okay! Listen to your hopes because they often give you deeper insight into the decisions you actually want to make. We have been given one of the greatest gifts from our Heavenly Father: free agency. It’s an amazing gift! Yes, we can make whatever decision we want for ourselves, but I’ve learned that including the Lord in our decisions always yields the best outcome. When I make decisions with the Lord, He has always let me know that I made the better decision to include Him. I know He doesn’t ever want me to feel alone in my trials, but I also know He never wants me to feel alone in my decisions, either. This understanding alone has influenced my life for good because having the Lord as my priority when making decisions has made my decisions better and has allowed me to better prioritize. The best part of all of this is that His desire for our life becomes so much more evident when we include Him in our decision-making process. So try it! “[A person may have] a strong desire to be led by the Spirit of the Lord but . . . unwisely extends that desire to the point of wanting to be led in all things. A desire to be led by the Lord is a strength, but it needs to be accompanied by an understanding that our Heavenly Father leaves many decisions for our personal choices. Personal decision making is one of the sources of the growth we are meant to experience in mortality. Persons who try to shift all decision making to the Lord and plead for revelation in every choice will soon find circumstances in which they pray for guidance and don’t receive it. For example, this is likely to occur in those numerous circumstances in which the choices are trivial or either choice is acceptable. 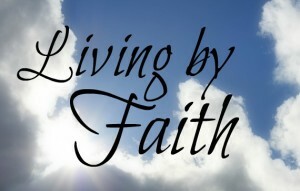 “We should study things out in our minds, using the reasoning powers our Creator has placed within us. Then we should pray for guidance and act upon it if we receive it. If we do not receive guidance, we should act upon our best judgment. Persons who persist in seeking revelatory guidance on subjects on which the Lord has not chosen to direct us may concoct an answer out of their own fantasy or bias, or they may even receive an answer through the medium of false revelation” (Dallin H. Oaks, “Our Strengths Can Become Our Downfall,” October 1994). To read more of Jen’s articles, click here. As we practice good decision-making, using the agency and power of reasoning God has given us, we will grow stronger and more capable — and if we are trying to follow God and we end up making a wrong decision, He’ll steer us back on track. What I’ve learned most last month (all 74 days of it!) is that sometimes when we’re burden with hard things, we’re also reminded of all the people who are on our side cheering us on. I’ve learned that every day is an opportunity to learn and grow as a person. Making better decisions for ourselves becomes more important as we get older, and when those tough days hit you (because they will) that you can get through it because YOU are tougher!